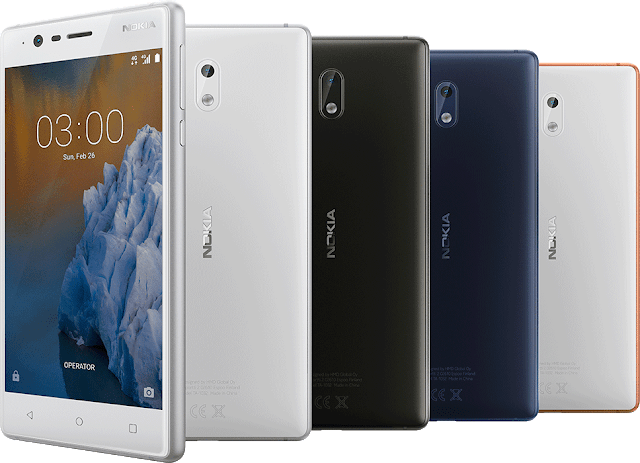 HMD Global has finally unwrapped its entry-level Nokia 5 and Nokia 3 phones for 2017 today in Barcelona. 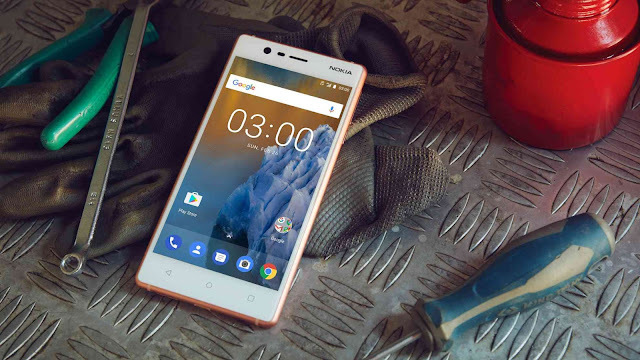 The Nokia 3 is the somewhat same phone as the Nokia 5 in terms of design, Specs wise, the Nokia 3 features a 5" HD display, 8MP rear and front camera, 2650mAh battery, MTK 6737 quad-core processor, 2 RAM, 16GB internal storage with SD support. 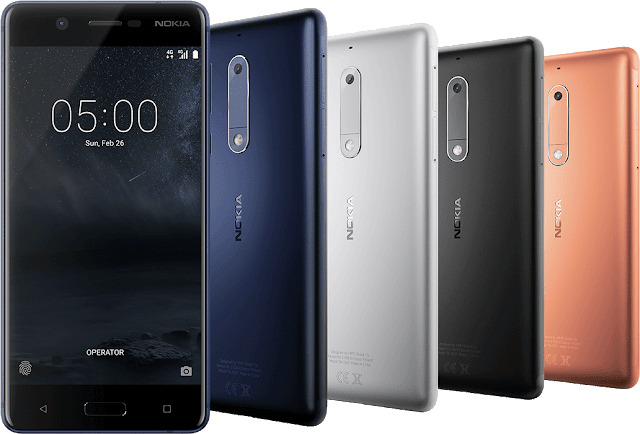 Along with Nokia 5 and Nokia 3, HMD also announced the Nokia 6 Global variant, all these Smartphones will be available in Q2, 2017 globally! Which one will you be buying? Comment below!